If you were one of the many people who attended our webinar Training an Invisible Audience: Delivering Effective Webinars, I'd like to thank you for being such an eager and inquisitive audience. I was struck by the many locations of the registrants (including more than 10 countries! ), as well as the many reasons that people hold webinars, including parenting classes, genealogy courses, and student engagement. Interested in delivering webinars, but don't know where to start? Join us for a free webinar, Training an Invisible Audience: Delivering Effective Webinars, on Thursday, December 8, 2011. During this one-hour event, you will hear from two webinar experts who have trained thousands of online participants around the world, TechSoup webinar program manager Kyla Hunt and independent library consultant, author, and trainer Stephanie Gerding. Pretty much every time I read something written by a librarian, I am charmed anew that librarians are just so helpful. 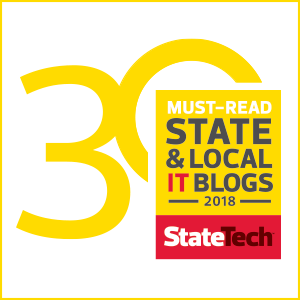 Stephanie Gerding's recently published article, "Transforming Public Library Patron Technology Training" in th e most recent ALA Techsource Library Technology Reports, is no exception. Back in June, you may have seen a post from Stephanie Gerding on the TechSoup for Libraries blog about My PC, a free Windows 7 curriculum. Last week, I had the pleasure of speaking with My PC program manager Todd Watts on the TechSoup webinar, Free Windows 7 Curriculum: Basic Computer Training at Your Library or Nonprofit. The Texas State Library and Archives Commission (TSLAC) is the proud recipient of a $7.96 million Broadband Technology Opportunities Program (BTOP) stimulus grant from the National Telecommunications and Information Administration. Whether you are training staff or the public, developing curriculum is always a lengthy process. Microsoft's My PC Series aims to make this challenge a bit easier by providing free downloadable curriculum you can customize for your library. Register for our webinar on Thursday to find out more! I've downloaded and viewed all their offerings, and am suitably impressed. Introducing Kyla Hunt: Our new Webinar Program Manager! Greetings, and allow me to introduce myself! My name is Kyla Hunt, and I am the new Webinar Program Manager here at TechSoup Global. Read more about Introducing Kyla Hunt: Our new Webinar Program Manager! This month we have three FREE webinars scheduled. TechSoup's Microsoft Donation Program has been updated and nowit is easier than ever for you to get the software you need, when you need it. We are holding two webinars to provide you with further information on the updates and to help answer questions you may have. To read more about these updates, take a look at this recent blog post. We also have a webinar that will introduce the My PC Series, which includes a free set of workshops and computer class materials designed for adult learners learning basic computer and digital photography skills. TechSoup is facilitating a free webinar this Thursday on evaluating digital literacy projects. Libraries have been offering technology training in some form for many years, but it is often still a struggle to figure out how to evaluate this type of service. Whether you received BTOP funding, state library funds, or local funding, it is necessary to be able to track and communicate the effects this important work has on our communities. The My PC Series is a free set of workshops designed for adult learners. Perfect for library patrons and staff, these workshops use Windows®7 and Windows Live™ Essentials to teach basic PC and digital photography skills.